Our Over 5's program has been developed for children 5 years+ and teaches correct technique over short distances, including survival distance swimming and safety skills. 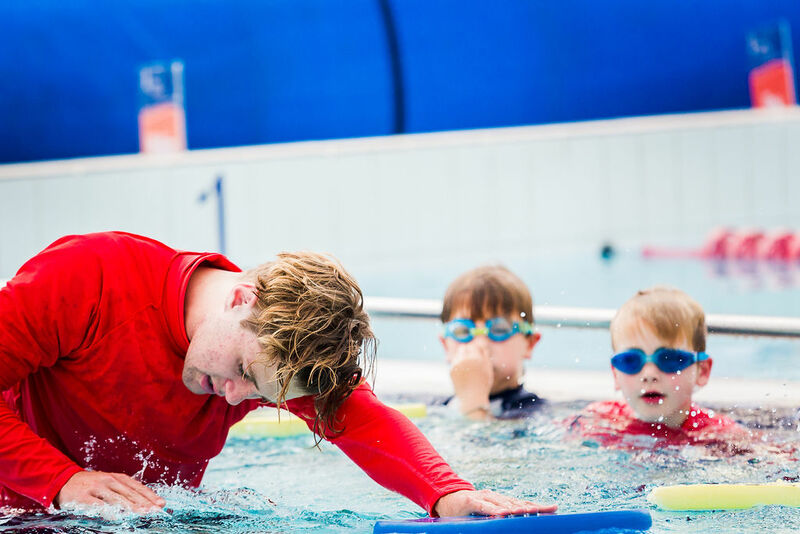 The correct technique component of our teaching ensures that once your child has mastered the stroke, they can then swim over a distance with ease. All lessons are 30 minutes in duration unless otherwise stated and range from four students in beginner levels to ten students in the highest levels. This level is for those children who are not confident in water. The aim of this level is to teach water confidence and basic skills in a safe and fun environment. This level is for the beginner who can confidently put their face or head in the water. The aim of this level is to teach the foundations of swimming including Freestyle arms clearing the water, a flutter kick and the initial breaststroke kick. For the beginner swimmer who is much older than the students in the first two levels of the Over 5's program. (8 years+). This swimmer is yet to learn to float and swim basic freestyle. When ready this swimmer can progress to Otters (our fourth level). This class has a maximum of 4 students. This is for the more advanced swimmer who needs further development of the strokes particularly breaststroke timing. When ready the student can progress to Piranhas (our seventh level). This class has a maximum of 4 students. If you believe your child should be in a level higher than a beginner level, please book a free assessment before enrolling. To do this email swimschool@fremantle.wa.gov.au or call 08 9432 9999. Once you know which level to place your child, you are able to enrol into the Over 5's program on a perpetual (direct debit) basis. You will retain your position in the program until you choose to withdraw and cancel your direct debit by completing a cancellation form online or at the centre. Firstly, you must read the swim school enrolment information, terms and conditions and then click the link to enrol online.